Charles V made his brother Ferdinand the ruler of Austria-Hungary in 1556 AD. 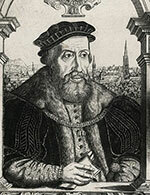 But when Ferdinand died in 1564, he divided Austria-Hungary among his three sons. Each of those three little countries was pretty weak, and they were always fighting each other. So during the years when Elizabeth was making England into a strong united country, and Henry IV and Richelieu were doing the same for France, Austria was divided. Then the Netherlands took advantage of this weakness to fight for their independence as the Dutch Republic. Sofia Baffo, ruler of the Ottoman Empire, used Ferdinand’s death as an opportunity to attack Austria in 1568. But the Ottoman army didn’t get very far, and most of the war was fought in Hungary. The people of Hungary got so tired of being used as a battlefield that they revolted. Austria made peace with Sofia Baffo in 1606, and stopped paying tribute money to the Ottomans anymore. Once the war with the Ottoman Empire was over, Ferdinand III (Ferdinand’s grandson) began to work on getting control of Germany and forcing everyone in Germany to become Catholic instead of Protestant. We call this the Thirty Years’ War because it was such a long war. By the 1630s, Richelieu of France and the Ottomans under Kosem Sultan began to help Germany against Ferdinand III in the war. 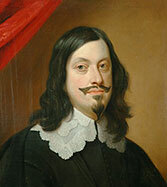 Philip IV of Spain helped Austria, but after Ferdinand III died, his son Ferdinand IV ended the war in 1648 as a loss for Austria. Germany remained divided into a lot of small independent states, some Catholic and some Protestant. Cite this page: Carr, K.E. Austria-Hungary in the 1600s. Quatr.us Study Guides, August 5, 2017. Web. April 21, 2019.